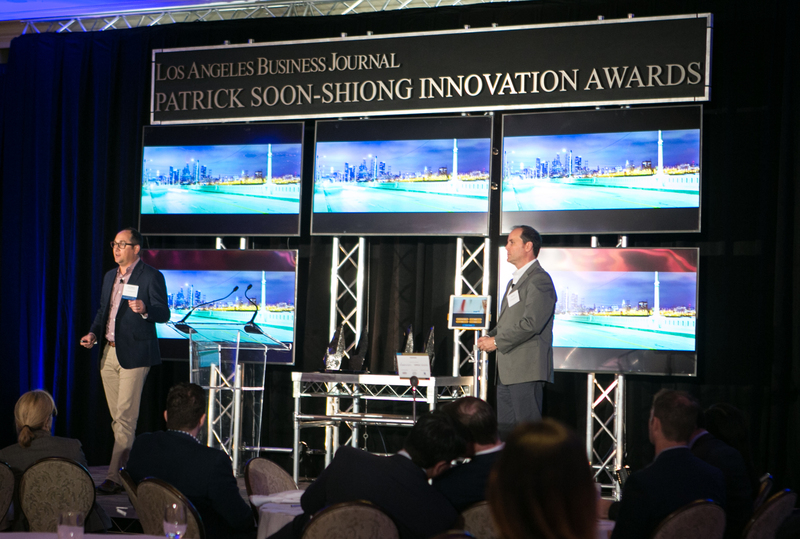 Cloudbreak Health (“Cloudbreak”) — a pioneering Unified Telemedicine service that brings all specialties together on a single platform and provides a solution for the entire continuum of care — was awarded the 2016 Patrick Soon-Shiong Innovation Award at a ceremony held at the Four Seasons Hotel in Beverly Hills, California on November 17th. Cloudbreak’s platform is being used nationwide by over 650 hospitals that are performing more than 65,000 encounters per month. Available on iOS, PC & Android devices, experts in fields such as Tele-stroke, Tele-psychiatry, Tele-ICU and numerous other specialties can all be accessed at the simple touch of a button via Cloudbreak’s Carenection Telehealth Delivery Network. Patients and providers also benefit from integrated language services for Limited English Proficient and Deaf and Hard of Hearing patients delivered by the Cloudbreak Martti™ (My Accessible Real-Time Trusted Interpreter) offering. Founded in 2010 in partnership with the Los Angeles Business Journal, the award is given annually to recognize innovation and advancement by California companies in fields such as technology, medicine and engineering. The awards are named for Dr. Patrick Soon-Shiong, a surgeon, entrepreneur and inventor who has pioneered therapies for diabetes and cancer and holds over 95 patents. Dr. Soon-Shiong lives in Los Angeles and is recognized locally and internationally for his philanthropic work through the Chan Soon-Shiong Family Foundation and The Giving Pledge. Cloudbreak’s telemedicine platform is transforming the healthcare industry by providing an easy way for hospitals and other healthcare providers to quickly and cost-effectively launch interoperable telehealth solutions with their Telemedicine as a Service model (“TaaS”). The platform brings much-needed simplicity to a healthcare industry overwhelmed by complexity while also improving quality, satisfaction and outcomes. Easy access to the right doctor at the right time is becoming critically important as hospitals move away from fee for services and more towards a value based model of care that integrates population health strategies. 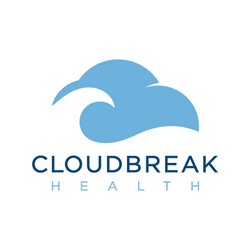 Cloudbreak’s stated mission is to Humanize Healthcare. Cloudbreak’s Martti (My Accessible Real-Time Trusted Interpreter) service has provided more than 23 million minutes of medical interpretation to upwards of one million patients. Martti breaks down language and cultural barriers by enabling quick and easy communication with patients who are Limited English Proficient or Deaf/Hard-of-Hearing via live video or telephone. More than 250 languages (including American Sign Language) are offered with nearly 60 languages available in live video — the largest video offering in the industry. For more information, visit http://www.cloudbreak.us. Cloudbreak Health CEO, Jamey Edwards (l) and COO, Andy Panos, present their telemedicine innovations to the audience and judges.